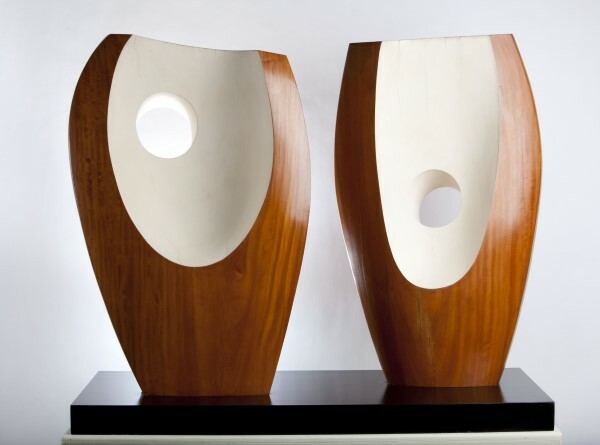 Barbara Hepworth, Two Forms with White (Greek), 1963. The Hepworth Wakefield, © Bowness, Hepworth Estate. Photography by Jonty Wilde. To coincide with the artist’s retrospective at Tate Britain set to open next month, the Hepworth Wakefield is holding two exhibitions of the work of ACS member Barbara Hepworth. ‘A Greater Freedom’, which opened last month and focused on the artist’s later years, is followed by ‘Hepworth in Yorkshire’. This show examines the artist’s early years growing up in Wakefield with archival material, work relating to her family and childhood, and early drawings, paintings and sculpture by Hepworth on display. The centrepiece of the exhibition will be a portrait of Hepworth as a teenager, painted by noted artist and ACS member Ethel Walker. To coincide with the exhibition, on 15 May Tate Britain director Penelope Curtis will be giving a talk at the Hepworth Wakefield on on Hepworth’s engagement with architecture and exhibition design in the post-war period. You can find more information about the event here.